Are you planning on getting a new cat or know someone who is? Getting a new pet is exciting and it's important to be prepared. I'm going to show you what you need for a new cat welcome kit. It makes a great gift not only for your new kitty, but for a friend or even as a donation to your local animal shelter. The most important thing you'll need when you get a new cat (besides food) is litter. 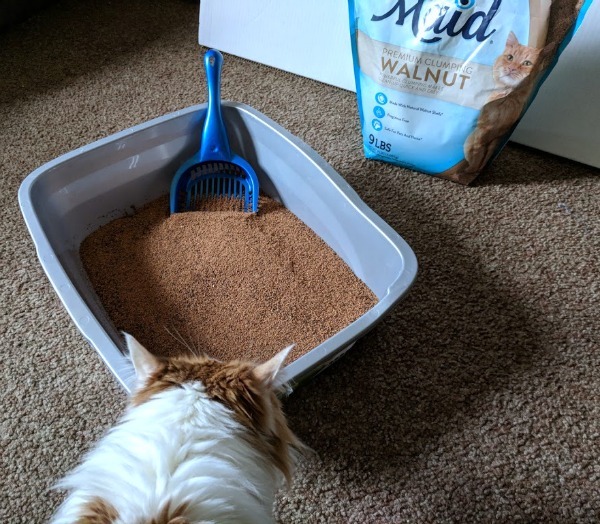 Our kitties are part of our family and they come in contact with kitty litter multiple times a day, so I prefer to use a natural solution. 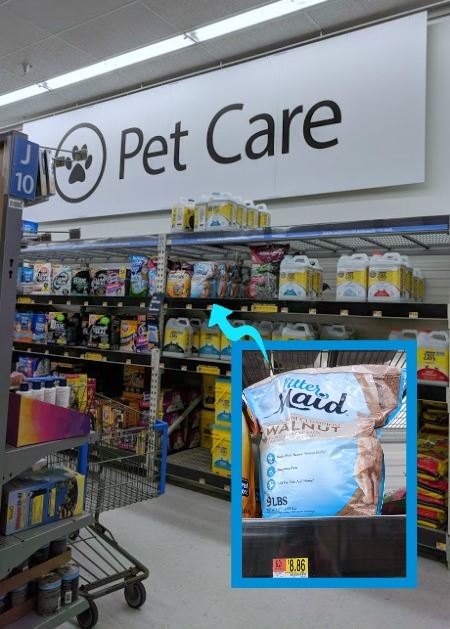 While shopping in the pet care section at Walmart, I found LitterMaid® Premium Walnut. It's made with natural walnut shells and is 99% dust free. I need one that helps neutralize tough litter box odors, but is fragrance free. 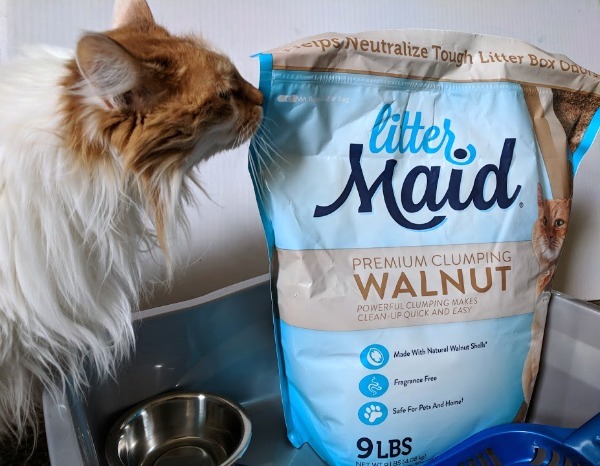 Since litter is something you'll be purchasing regularly, I love when pet specialty specific items such as walnut litter is available at a convenient location. It's recommended to have at least one litter box per cat plus one. For example, we have two cats, so we have three litter boxes available. To maintain your new cat's litter box, you'll want to scoop it out daily. LitterMaid® Premium Walnut makes clean-up quick and easy with its powerful clumping. Then every two weeks you'll want to completely change out the litter and wash out the box. One of the best parts about getting a new cat, besides all the snuggling, is playing with them. You'll want a variety of cat toys so you can exercise your kitty mentally and physically. 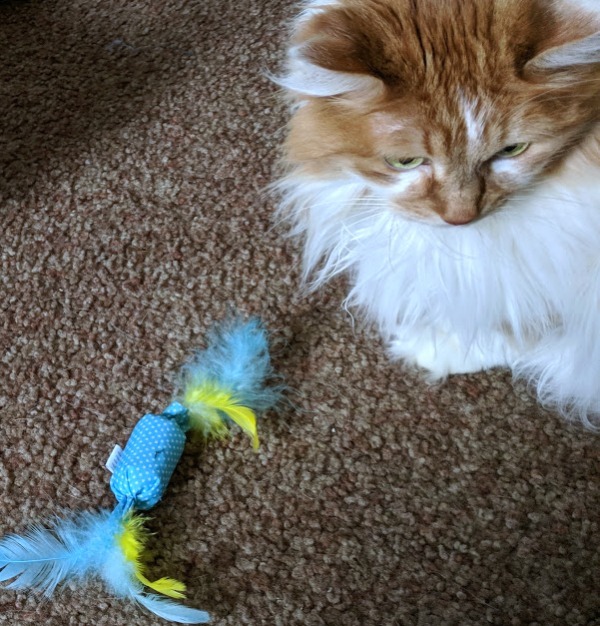 Keep their interest by appealing to their instincts with different toys such as cat nip balls, crinkly toys, feather wands, strings, and even a laser pointer. You'll have to decide if you prefer individual bowls or a dish with separate sections for food and water. I prefer individual bowls, especially since we frequently change our cats' water. A mat to place beneath their dishes is a great idea too. Having a small pet carrier makes transporting your new cat easier. This is an item that is easily overlooked, but is necessary to purchase ahead of time. 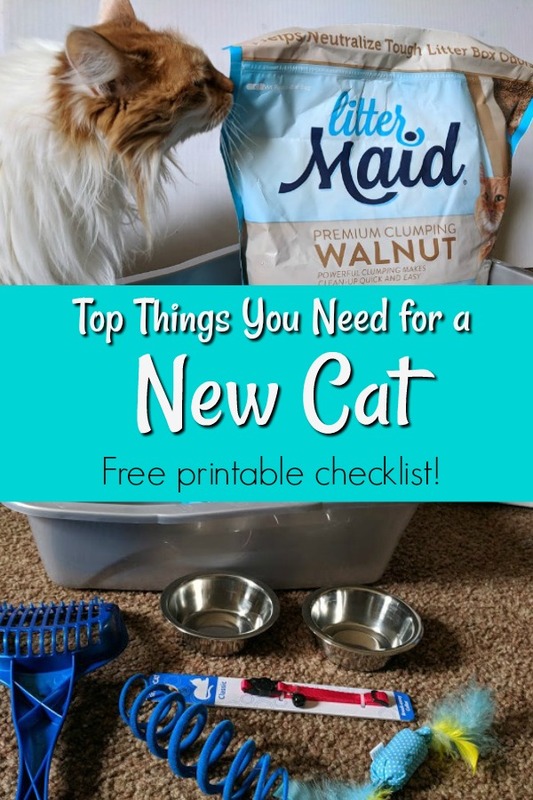 You'll need it for bringing your new kitty home as well as for vet appointments. Speaking of which – don't forget to schedule your first appointment with your veterinarian. Whether you are getting a kitten or an adult cat, it's a good idea to have a well check up. Plus, your vet can assist you with the best feeding schedule or your cat: how much to feed them and how often. I'm providing a handy checklist you can print out to use while shopping for your new cat. If you are making a welcome kit or gift basket, you don't have to get every item, but it helps provide ideas and inspiration. 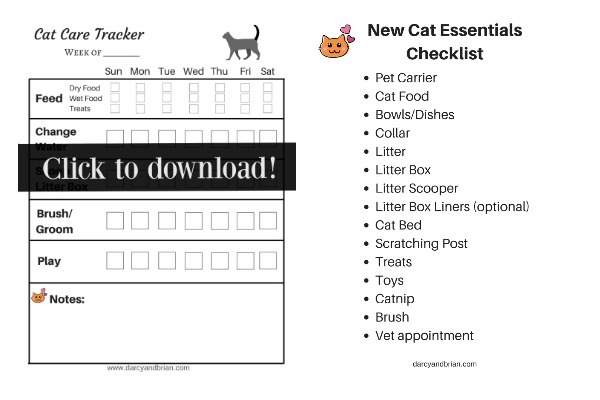 To help you get into a new daily routine, I've also created a cat care weekly tracker printable. 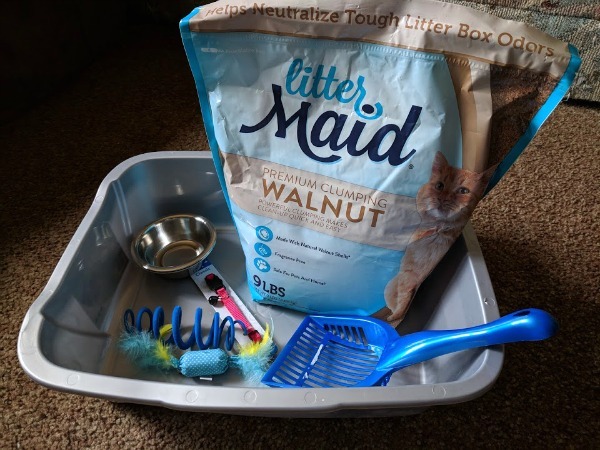 I hope you have fun shopping for things you need for your new cat welcome kit, starting with LitterMaid® Premium Walnut at Walmart. It's an easy gift basket to put together for a friend's cat or as a donation. I love that it's perfect for kittens as well as adult cats too!